Dr. Jeffrey Stein is the best endodontist in Palmdale committed to offering comprehensive endodontic care to all patients in Palmdale, CA. Dr. Jeffrey Stein-the best-rated endodontist in Palmdale is a root canal specialist with a wealth of experience and expertise in all aspects of endodontics including both surgical and non-surgical endodontics. Dr. Stein and his experienced endodontic team are devoted providing you with to the best dental care in Palmdale CA. Endodontics is a specialized branch of dentistry that deals with diagnosis and treatment of complex structures found inside the teeth. Also, know as root canal therapy, endodontics comprises of tooth pulp, tissues, nerves, and arterioles. The type of treatment performed by endodontists involves a series of complex and simple procedures including as root canal therapy. What Does Endodontic Procedure Involve? The type of endodontic treatment recognized by the American Dental Association that Dr. Stein performs is the root canal therapy. Root can therapy is a comfortable procedure that is performed to relieve you pain and save your natural teeth. Its purpose is not to cause pain but to relieve it. Initially, a complete X-ray of your teeth will be taken and examined for inflamed or infected pulp. During your root canal therapy, Palmdale endodontist Dr. Jeffrey Stein will gently remove the inflamed or infected pulp and proceed to clean and disinfect the inside of your tooth. Meanwhile, a local anesthetic will be administered and a protective sheet (dental dam) placed inside your mouth to ensure the surgical area remains free of saliva during treatment. The next step involves filling and sealing the inside of the tooth using a rubber-like biocompatible material called gutta-percha. Cement is then applied to ensure the root canals are completely sealed. 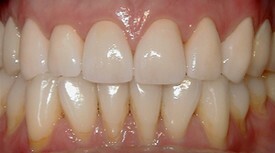 A temporary filling will be placed to restore functionality to your teeth to the permanent restoration procedure. 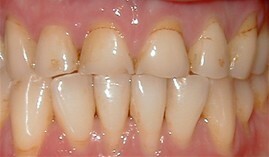 On your final visit, your tooth is restored permanently using a crown or filling for protection. After successfully completing the root canal therapy, your tooth will be fully restored to continue to function naturally. Dr. Stein endodontic treatment in Palmdale helps you restore your teeth and continue with your natural smile. With his experience and expertise, you can expect a comfortable experience during and after your appointment. I'm have been a "dentiphobic" (my word) since I was a child. I can say that Dr Stein and staff are wonderful. I recently had my teeth cleaned and it was not at all frightening. Last year I had a root canal, and can say that if I had to have another, I would have no worries. For more information about endodontics or to learn more about Dr. Stein endodontic practice in Palmdale, CA contact us online or Call us at (661) 949-1894 today to schedule your appointment. Dr. Jeffrey Stein offers endodontic & root canal treatment to patients residing in or near Lancaster & Palmdale. Root canals are a great way to save your teeth from tooth extraction, which is more costly and not recommended unless severe decay is present.